Pallinux: Olly Olly Oxen Free! In a world far away, in the dark Land of Digitos only populated by machines and computers, the evil Mister Woo was ruling over all. Over time, this terrible dictator was becoming a horrendous fire-eyed giant, walking the whole day by vibrating the heavy steps into his Kingdom, leaving behind him a trail of smoke and terror. Mr. Woo always wore a long, shabby and dirty top hat that had once been white, so old and ragged that he could not even keep it up straight on his head. This entry was posted in Debian, Notes, Ubuntu and tagged metaphor, Pallinux, tale on December 28, 2015 by Fabio Marzocca. It’s no secret that OpenStack is becoming the de-facto standard for private cloud and a way for telecom operators to differentiate against big names such as Amazon or Google. OpenStack has already been adopted in some specific projects, but the wide adoption in enterprises is starting now, mostly because people simply find it difficult to understand. VMWare is still something to compare to, but OpenStack and cloud is different. While cloud implies virtualization, virtualization is not cloud. Cloud is a huge shift in your organization and will change forever your way of working in the IT projects, improving your IT dramatically and cutting down costs. In order to get the best of OpenStack, you need to understand deeply how cloud works. Moreover, you need to understand the whole picture beyond the software itself to provide new levels of agility, flexibility, and cost savings in your business. 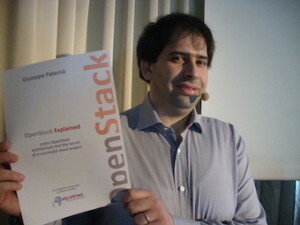 Giuseppe Paterno’, leading European consultant and recently awarded by HP, wrote OpenStack Explained to guide you through the OpenStack technology and reveal his secret ingredient to have a successful project. You can download the ebook for a small donation to provide emergency and reconstruction aid for Nepal. Your donation is certified by ZEWO , the Swiss federal agency that ensures that funds go to a real charity project. … but hurry up, the ebook is in a limited edition and it ends on July 2015. This entry was posted in Debian, Ubuntu on June 15, 2015 by Giuseppe Paternò. I’ve many distributed Linux instances across several clouds, be them global, such as Amazon or Digital Ocean, or regional clouds such as TeutoStack or Enter. Probably many of you are facing the same issue: having a consistent UNIX identity across all multiple instances. While in an ideal world LDAP would be a perfect choice, letting LDAP open to the wild Internet is not a great idea. So, how to solve this issue, while being secure? The trick is to use the new NSS module for SecurePass. While SecurePass has been traditionally used into the operating system just as a two factor authentication, the new beta release is capable of holding “extended attributes”, i.e. arbitrary information for each user profile. Use the new NSS module for SecurePass to have a consistent UID/GID/…. The next generation of SecurePass (currently in beta) is capable of storing arbitrary data for each profile. This is called “Extended Attributes” (or xattrs) and -as you can imagine- is organized as key/value pair. ERRATA CORRIGE: securepass-tools hasn’t been uploaded to Debian yet, Alessio is working hard to make the package available in time for Jessie though. Where app_id and app_secrets are valid API keys to access SecurePass beta. Using this setup by itself wouldn’t allow users to login to a system because the password is missing. We will use SecurePass’ authentication to access the remote machine. Be aware that this has not being tested with SE-Linux enabled (check off or permissive). Configure SecurePass with your RADIUS device. We only need to set the public IP Address of the server, a fully qualified domain name (FQDN), and the secret password for the radius authentication. In case of the server being under NAT, specify the public IP address that will be translated into it. After completion we get a small recap of the already created device. For the sake of example, we use “secret” as our secret password. Of course the “secret” is the same we have set up on the SecurePass administration interface. Beyond this point we need to configure the PAM to correct manage the authentication. In CentOS, open the configuration file /etc/pam.d/password-auth-ac; in Debian/Ubuntu open the /etc/pam.d/common-auth configuration and make sure that pam_radius_auth.so is in the list. Handling many distributed Linux poses several challenges, from software updates to identity management and central logging. In a cloud scenario, it is not always applicable to use traditional enterprise solutions, but new tools might become very handy. And then send an e-mail to info@garl.ch requesting beta access. This entry was posted in Debian, Ubuntu on October 30, 2014 by Giuseppe Paternò. This brief announcement was released yesterday to the debian-devel-announce mailing list. The Debian Multimedia Maintainers have been quite active since the Wheezy release, and have some interesting news to share for the Jessie release. Here we give you a brief update on what work has been done and work that is still ongoing. Let’s see what’s cooking for Jessie then. Support for many new media formats and codecs. The codec library libavcodec, which is used by popular media playback applications including vlc, mpv, totem (using gstreamer1.0-libav), xine, and many more, has been updated to the latest upstream release version 11 provided by Libav. This provides Debian users with HEVC playback, a native Opus decoder, Matroska 3D support, Apple ProRes, and much more. Please see libav’s changelog for a full list of functionality additions and updates. libebur128 is a free implementation of the European Broadcasting Union Loudness Recommendation (EBU R128), which is essentially an alternative to ReplayGain. The library can be used to analyze audio perceived loudness and subsequentially normalize the volume during playback. libltc provides functionalities to encode and decode Linear (or Longitudinal) Timecode (LTC) from/to SMPTE data timecode. libva and the driver for Intel GPUs has been updated to the 1.4.0 release. Support for new GPUs has been added. libva now also supports Wayland. A number of new additional libraries (externals) will appear in Jessie, including (among others) Eric Lyon’s fftease and lyonpotpourrie, Thomas Musil’s iemlib, the pdstring library for string manipulation and pd-lua that allows to write Pd-objects in the popular lua scripting language. LASH Audio Session Handler was abandoned upstream a long time ago in favor of the new session management system, called ladish (LADI Session Handler). ladish allows users to run many JACK applications at once and save/restore their configuration with few mouse clicks. gladish provides a easy-to-use graphical interface for the session handler. Note that ladish uses the D-Bus interface to the jack daemon, therefore only Jessie’s jackd2 provides support for and also cooperates fine with it. Debian Jessie will bring the newest 1.10.0 version of the LV2 technology. Most changes affect the packaging of new plugins and extensions, a brief list of packaging guidelines is now available. LVTK provides libraries that wrap the LV2 C API and extensions into easy to use C++ classes. The original work for this was mostly done by Lars Luthman in lv2-c++-tools. All three are provided in both forms of LV2 plugins and stand-alone JACK client. JACK session, JACK MIDI, and ALSA MIDI are supported too. LV2 bundles containing many audio plugins for high quality processing. Fomp is an LV2 port of the MCP, VCO, FIL, and WAH plugins by Fons Adriaensen. We’ve packaged ste-plugins, Fons Adriaensen’s new stereo LADSPA plugins bundle. A major upgrade of frei0r, namely the standard collection for the minimalistic plugin API for video effects, will be available in Jessie. The new generation of the popular digital audio workstation will make its very first appearance in Debian Jessie. Qt4 front-end for the MPD daemon. Csound for jessie will feature the new major series 6, with the improved IDE CsoundQT. This new csound supports improved array data type handling, multi-core rendering and debugging features. DIN Is Noise is a musical instrument and audio synthesizer that supports JACK audio output, MIDI, OSC, and IRC bot as input sources. It could be extended and customized with Tcl scripts too. dvd-slideshow consists of a suite of command line tools which come in handy to make slideshows from collections of pictures. Documentation is provided and available in `/usr/share/doc/dvd-slideshow/’. and in formats as PDF, with the sodapdf online pdf editor which help editing all these documents. DVDwizard can fully automate the creation of DVD-Video filesystem. It supports graphical menus, chapters, multiple titlesets and multi-language streams. It supports both PAL and NTSC video modes too. Flowblade is a video editor – like the popular KDenlive based on the MLT engine, but more lightweight and with some difference in editing concepts. Forked-daapd switched to a new, active upstream again dropping Grand Central Dispatch in favor of libevent. The switch fixed several bugs and made forked-daapd available on all release architectures instead of shipping only on amd64 and i386. Now nothing prevents you from setting up a music streaming (DAAP/DACP) server on your favorite home server no matter if it is based on mips, arm or x86! Groove Basin is a music player server with a web-based user interface inspired by Amarok 1.4. It runs on a server optionally connected to speakers. Guests can control the music player by connecting with a laptop, tablet, or smart phone. Further, users can stream their music libraries remotely. It comes with a fast, responsive web interface that supports keyboard shortcuts and drag drop. It also provides the ability to upload songs, download songs, and import songs by URL, including YouTube URLs. Groove Basin supports Dynamic Mode which automatically queues random songs, favoring songs that have not been queued recently. It automatically performs ReplayGain scanning on every song using the EBU R128 loudness standard, and automatically switches between track and album mode. Groove Basin supports the MPD protocol, which means it is compatible with MPD clients. There is also a more powerful Groove Basin protocol which you can use if the MPD protocol does not meet your needs. HandBrake, a versatile video transcoder, is now available for Jessie. It could convert video from nearly any format to a wide range of commonly supported codecs. New jackd midiclock utility made by Robin Gareus. Laborejo, Esperanto for “Workshop”, is used to craft music through notation. It is a LilyPond GUI frontend, a MIDI creator and a tool collection to inspire and help music composers. mpv is a movie player based on MPlayer and mplayer2. It supports a wide variety of video file formats, audio and video codecs, and subtitle types. The project focuses mainly on modern systems and encourages developer activity. As such, large portions of outdated code originating from MPlayer have been removed, and many new features and improvements have been added. Note that, although there are still some similarities to its predecessors, mpv should be considered a completely different program (e.g. lacking compatibility with both mplayer and mplayer2 in terms of command-line arguments and configuration). SMTube is a stand-alone graphical video browser and player, which makes YouTube’s videos browsing, playing, and download such a piece of cake. It has so many features that, we are sure, will make YouTube lovers very, very happy. Sonic Visualiser Application for viewing and analysing the contents of music audio files. SoundScapeRenderer (aka SSR) is a (rather) easy to use render engine for spatial audio, that provides a number of different rendering algorithms, ranging from binaural (headphone) playback via wave field synthesis to higher-order ambisonics. videotrans is a set of scripts that allow its user to reformat existing movies into the VOB format that is used on DVDs. XBMC has been partially rebranded as XBMC from Debian to make it clear that it is changed to conform to Debian’s Policy. The latest stable release, 13.2 Gotham will be part of Jessie making Debian a good choice for HTPC-s.
Radium Compressor is the system compressor of the Radium suite. It is provided in the form of stand-alone JACK application. With Jessie we are shipping a set of multimedia related tasks. They include package lists for doing several multimedia related tasks. If you are interested in defining new tasks, or tweaking the current, existing ones, we are very much interested in hearing from you. We’ve also dropped mplayer, presently nobody seems interested in maintaining it. The suggested replacements for users are mplayer2 or mpv. Whilst the former is mostly compatible with mplayer in terms of command-line arguments and configuration (and adds a few new features too), the latter adds a lot of new features and improvements, and it is actively maintained upstream. Please note that although the mencoder package is no longer available anymore, avconv and mpv do provide encoding functionality. For more information see avconv’s manual page and documentation, and mpv’s encoding documentation. rtkit under systemd is broken at the moment. More information about team’s activity are available. The Debian Multimedia Maintainers can be reached at pkg-multimedia-maintainers AT lists.alioth.debian.org for packaging related topics, or at debian-multimedia AT lists.debian.org for user and more general discussion. We would like to invite everyone interested in multimedia to join us there. Some of the team members are also in the #debian-multimedia channel on OFTC. This entry was posted in Debian and tagged Debian, Multimedia, Planet Ubuntu on October 23, 2014 by Alessio Treglia. 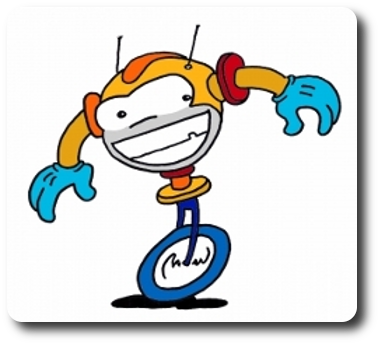 LADI Tools: first stable release is out! Moreover, a new component has joined the LADI Tools suite: ladi-player. LADI Player is a convenient, graphical VLC-style application providing an all-in-one control interface to start, stop and monitor JACK as well as the session handler. It also provides basic controls for managing studios. All the code was ported to GTK+ 3 and the new GObject Introspection mechanism. The code has been reorganized in order to allow the use of Python objects by 3rd party applications. Formerly laditray was an implementation of GtkStatusIcon to put a nice right-clickable icon into the system tray to allow users access JACK controls easy way. It’s been mostly rewritten and now it shows an AppIndicator icon (if the library is available), or fall back to the Freedesktop.org’s old-fashioned System Tray Protocol Spec-compliant icon. The project’s homepage is now hosted by Launchpad.net, the code is hosted by repo.or.cz and it’s available here for browsing. New up-to-date packages will hit both Debian and Ubuntu soon! This entry was posted in Debian, Development, Ubuntu and tagged Debian, JACK, LADI, ladish, Multimedia, Planet Ubuntu, Python on March 24, 2012 by Alessio Treglia. This brief announcement was published in the debian-devel-announce mailing list and I repeat it here for your information. Since there has been a lot happening in the Debian Multimedia world during the Squeeze release, so we figured we should give you an update on that. Consumer Multimedia is about playing and, well, consuming multimedia. FFmpeg 0.5.2, finally uncrippled thanks to zack! No mp3/h264 encoder, though. (still in NEW). mplayer 1.0rc3, finally with mencoder enabled. Hardware acceleration with VA-API (packages also in experimental, for support on Intel hardware). Csound 5.12. The QuteCsound frontend is also available. JACK versions 0.118 and 1.9.6 (aka, jackd1 and jackd2). You can choose to install any of them (but only one at a time). LV2 plugins are supported. Ardour has support for them, and there are a bunch of them provided in Debian. LADSPA plugins are still supported. DSSI updated to 1.0.0, many plugins are available. FireWire sound devices are supported with libffado, and is supported by JACK. Ardour 3 (it’s not out yet, so it did not make it in time for squeeze). SuperCollider. There is a package in the works, but did not make it to Squeeze. Toonloop: This live stop-motion animation editor has been packaged only recently. NASPRO: Convenient library to implement LV2 dynamic manifest plugins. It’s available in Sid. Mixxx: 1.7 series had RC bugs, and 1.8 was too late for squeeze. There is also an effort to start a Debian Multimedia Blend to give a better overview about what multimedia applications are available in Debian. There is a short list for a quick overview as well as a long package list separated in sections to give a more detailed overview (including translations, screenshots, popularity of package etc). You are invited to help improving the tasks either directly in SVN or by sending patches to Andreas Tille <tille@debian.org> or debian-multimedia@lists.debian.org (see below). Note that not all of the packages listed in the tasks pages are maintained by the Debian Multimedia team, since they are aimed at producing useful package sets instead of showing only our own packages. For those who want to squash some bugs in multimedia packages there is also the bugs page generated by the Blends tools, or our team bug page. The team has seen a lot of growth since the merger. Of the current 52 members of the Alioth team, 20 were added during 2009 and 18 in 2010, many of whom are involved in upstream development as well as the debian packaging. The number of packages has also grown, with 112 of the current 205 git repositories in our team area having its first commit during 2010. The Debian Multimedia Maintainers can be reached at pkg-multimedia-maintainers@lists.alioth.debian.org, should you have any questions. We have also decided to repurpose the old debian-multimedia@lists.debian.org address for user and more general discussion. We would like to invite everyone interested in multimedia to join us there. Interested developers/packagers can also join us at the first address. Some of the team members are also in the #debian-multimedia channel on OFTC. This entry was posted in Debian and tagged Debian, Multimedia, Planet Ubuntu on November 15, 2010 by Alessio Treglia. Already available in both Maverick and Debian sid, it provides many interesting features. I’m talkin’ about Font Manager, a small application written in C and Python by Jerry Casiano, which allows users to easily install, remove and compare font files on own system. This entry was posted in Debian, Ubuntu and tagged C, Maverick, Planet Ubuntu, Python on August 12, 2010 by Alessio Treglia. I have two nice news to tell you today! Nautilus Pastebin has been entered Debian’s unstable archive (PTS page). I can’t describe what I feel, I just want to thank Canonical for giving me this opportunity. This entry was posted in Debian, Real life, Ubuntu and tagged Lucid, Nautilus Pastebin, Planet Ubuntu, Ubuntu Developer Summit on October 3, 2009 by Alessio Treglia.